One of the most common myths about mowing is to wait until late (spring, that is). In actual fact, lawn management in the Lower Mainland is all about early care. The rule of thumb is to check your grass height. If it’s over 4.5 inches, plan to start mowing once the ground is frost-free and dry. Depending on the amount of rainfall and overnight temperatures, you can start as early as February to give your grass a quick once-over trim. 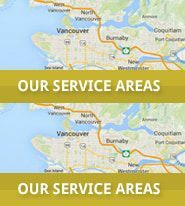 In the Lower Mainland, lawn care tips and solutions are well-documented. Apart from the Bur-Han blog, home owners can check municipality web sites for lawn care and mowing guidelines. For example, West Vancouver posts a lawn care calendar with a month-by-month breakdown of tasks. If the ground is too wet, get your lawn mower in shape while you wait for a dry spell. Sharpen dull blades; mowing with dull blades results in a multitude of problems: torn blades, discolouration, and vulnerability to infestation, weeds and turf diseases. Clear out any build-up of grass clippings and debris. For electric mowers, remove the housing and check the air vent slots. You want to prevent your mower’s motor from overheating and burning out. Consider getting your lawn mower serviced to replace worn parts such as carbon blocks. Another myth is that leaving grass clippings causes thatch. Thatch is a problem resulting from compacted, cool and wet soil, not clippings. Thatch is a combination of dead plant stems and roots that accumulate at soil level in your grass. To tell if your lawn needs dethatching, cut out a small section of the turf that includes the soil beneath it. If the dead grass layer is more than a half-inch thick, it’s time to dethatch. You can do it yourself with a power rake. Leaving the clippings (a practice known as grass cycling) provides a natural source of nutrition: phosphorus. Grass cycling can reduce the need for fertilizer by up to 30%. A third myth is that professional lawn and grass services can be turned into DIY projects such as spiking your lawn. 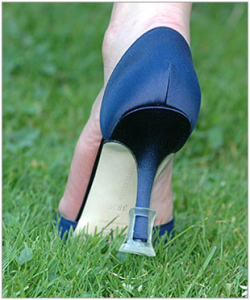 Wearing spike-heeled shoes on lawns that are compacted or thatched pokes holes but does not remove thatch or plugs. Core aeration not only punches holes but lifts out plugs. When it comes to mowing mistakes, one of the most prevalent problems is a combination of scalping and overwatering. By cutting too low (called scalping), brown patches can result when blades are removed. This can lead home owners to applying too much water or using a chemical treatment. Clear away debris, pine cones, twigs and any debris blown into your yard by winter storms. Mow high and mow sharp. Mowing too deeply weakens grass and encourages weed growth. Never remove more than a third of the grass blade. You want to allow your grass root system to develop. Smaller roots leave your grass vulnerable to invasive weeds. This is the time of year when everything starts to bloom: moss, weeds as well as healthy turf. Vary your mowing pattern. This helps compacted soul, and reduces wheel rutting. Check the condition of your grass and the underlying soil for moss, thatch and pests. In early spring, Vancouverites can face the problem of a pecked-over yard. This is the time when the grubs are fully grown, and hungry crows, skunks and raccoons will start to feast. By mowing your lawn, you can spot this problem early before it requires retreating the entire surface. Two approaches to prevent pecked lawns resulting from beetle infestation include covering lawns with mesh, and installing motion-sensor sprinkler systems to deter creatures from digging up your turf. For more information, contact Bur-Han.